Thanks for checking our Careers at Avista page! We are proud to have a fun, collegial work environment, where we are constantly striving to improve our processes, and deliver outstanding service to our customers. We are doubly proud to have long-term employees who get this focus, and due to our growth, we are almost always looking to hire and welcome new members to the Avista team. Check our open positions below, and if you’re interested, shoot us your resume. ARE YOU AN AV PRO IN THE SAN FRANCISCO BAY AREA OR GREATER LOS ANGELES COUNTY? Then we're looking for you! We always have a need for skilled, friendly AV techs. Click below to apply with Avista, and we'll be in touch! Avista Audio Visual Rentals is a premier West Coast AV rental and event company that has been serving high-profile corporate and consumer clients from multiple offices throughout California for over 10 years. We are seeking ambitious individuals who are not only technically knowledgeable in live audio and video fields, but are willing to learn more, and are fully on-board to support Avista's critical core commitment to provide "friendly, professional + skilled technicians" in a fast-paced and very busy environment. 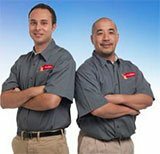 Our technician schedule is part-time/flexible with opportunities to work in San Francisco, San Jose, and surrounding areas. Hourly pay is DOE with a 4-hour minimum. Applicants need to have a current CA Driver's License with a clean record, be able to lift 50 lbs, and enjoy working in a team environment. Job duties include, but are not limited to delivering/setting up consumer rentals, setting up and running (Live Audio, Projections, Video Switching, Breakouts) corporate events, participating in load-in/load-out for larger events. Full-time positions may be available, pending qualifications. Job Location Office is based in San Jose. No current openings in Los Angeles.